You have content for several pages of a #website or an internal intranet. Input at regular intervals is required from several staff members and, even an outside contractor or two. What to do? A #content management system is tailor-made to address the issue. Choosing the right CMS can streamline the process of organizing and maintaining online content. Depending on the nature of your #business and your content, you may need to utilize more than one CMS. You may even switch from one CMS to another over time. At the simplest level, a content management system is just what it sounds like: a system to organize and categorize online content, whether that content is presented to the public or has restricted access. Many business owners use content management systems to build websites for their companies, because many CMS use relatively simple WYSIWYG (What You See Is What You Get) interfaces rather than complex Hypertext Markup Language (HTML) code. However, CMS can also be used for company event calendars, inventory for stock, invoice forms and to produce statistical and site data reports. The advantage of using a CMS is that all the input for a website or project is entered into a single template, which simplifies the task of keeping track of content and data that has been entered. When choosing a CMS, flexibility and adaptability should be prominent considerations. For instance, if you are using CMS to build a website, desirable features include headings that can be modified or substituted with your company’s logo, an easy process to upload photos and graphics and the ability to add plug-ins such as a blog. Depending on the nature of your business, you may also want a CMS with the ability to handle videos, an RSS feed and a shopping cart for online purchases. If you are using several CMS together, ensure that each is compatible with the others. If you’re not sure, inquire with the developer or merchant before you obtain any CMS or put it into use. You will also want to consider the future direction of your company. Even if your website or Intranet is relatively simple now, a CMS should allow you to add features at a later date without the need for a full replacement. The most feature-rich CMS is of little value if it’s too complex for your staff to use. Take an honest assessment of how tech-savvy each person is who will use the CMS, and choose a system that the least knowledgeable person can learn. Support for your company’s CMS is also an important feature, especially if you do not have dedicated IT staff on hand. There should also be regular updates to the CMS for security patches and new features. Ask the merchant or developer whether users of the present version of the CMS will be invited to upgrade to new versions free or for a reduced charge as they are released. 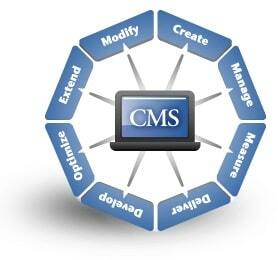 Lack of support can make free or low-cost CMS very expensive if something goes wrong that cannot be fixed internally. David Kendall contributed this guest post on behalf of WhoIsHostingThis.com – find out what they had to say on hosting reviews. David is a freelance technology writer who enjoys writing for various online publications.